Genuine OEM Canon 0905A003, BC10B Black Inkjet Cartridge. They are designed to work in the Apple Color StyleWriter 2200 printer/copier(s). 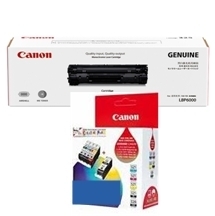 Genuine OEM Canon 0907A003, BC11E Color Ink Cartridge. They are designed to work in the Apple Color StyleWriter 2200 printer/copier(s).